A Bracelet for all young romantic Bohemians! 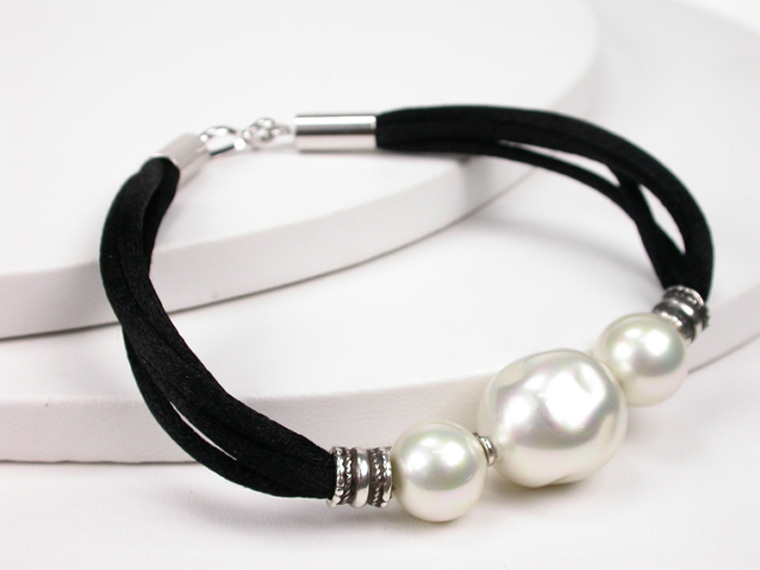 The Black Silk cord together with the delicacy and purity of the White Pearls gives this 19 cm. Bracelet its enchanting touch. Classic Bracelet in 8 mm. 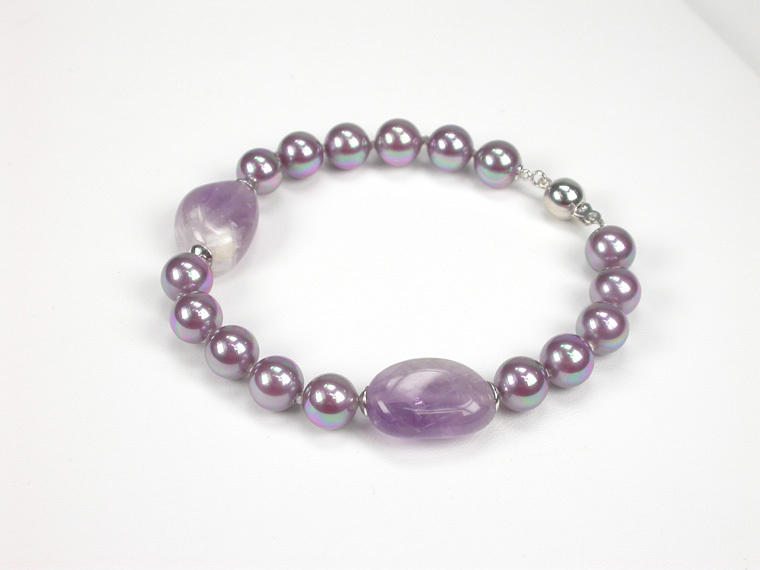 Aubergine coloured Pearls. 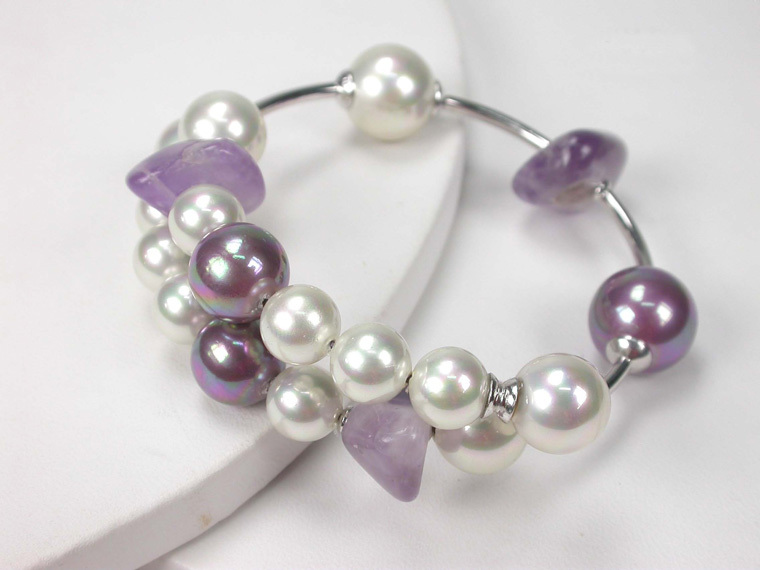 The fashionable Pearl colour and the beauty of the Amethyst stones give this 20 cm. Bracelet a unique and enchanting touch.